Certified Green Team has been in the carpet business since 2009, specializing in stain removal from carpeting and area rugs. 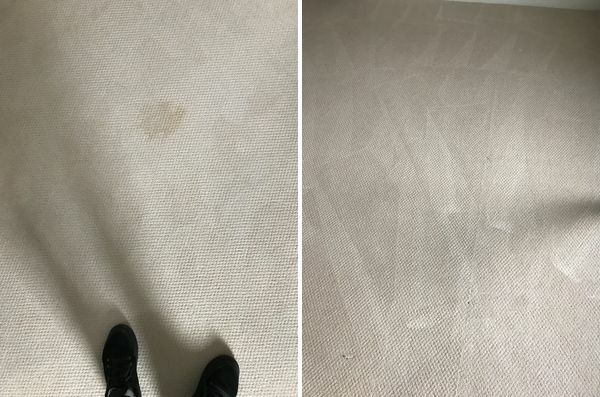 Our professional stain removal process can be used for any type of carpet or area rug, including: plush, Berber, sculptured, patterned, low pile, and high pile. We have expertise with wool rugs, handmade rugs, oriental rugs, and more. When you have carpet damage or stains, trust your carpet to the stain removal specialists at Certified Green Team. Call (617) 586-2586 for a free quote. Certified Green Team has been professionally removing carpet stains for more than 10 years. Call (617) 586-2586 for the best carpet stain removal. We always give free estimates. Once Certified Green Team assesses the damage, our carpet specialist will work to contain the damage so it doesn't spread. We will pretreat treat the stain, then work to remove it. If necessary, we will apply carpet-safe dyes to restore the look of your carpet. All of our products are environmentally safe and won't harm your family or your pets. Call (617) 586-2586 to find out how easily Certified Green Team can restore your carpet to like-new condition. When you need to get an unsightly stain out of your carpet or area rug, call the carpet cleaning specialists at Certified Green Team: (617) 586-2586.